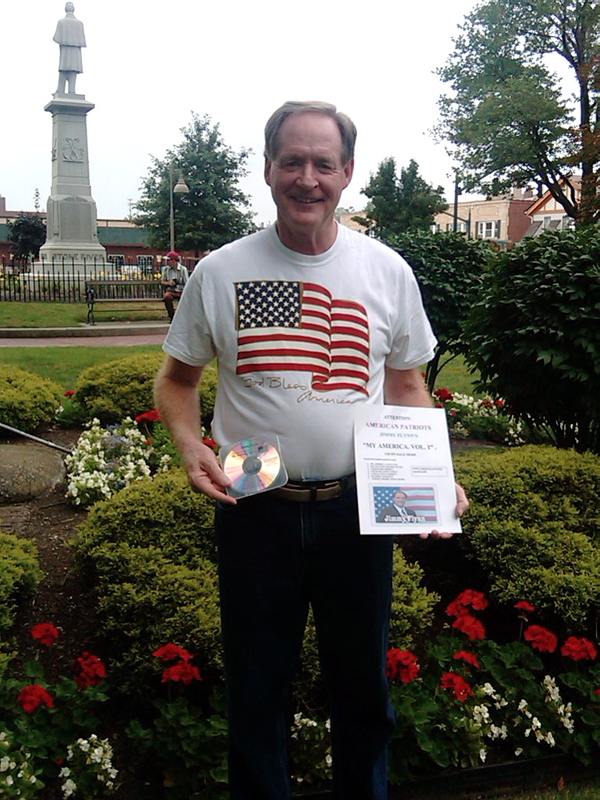 Our voices rang out on Saturday, August 21, at a flag retirement ceremony on the square in Bedford, Ohio. When the song was finished, the crowd was silent as a worn flag was carried out. 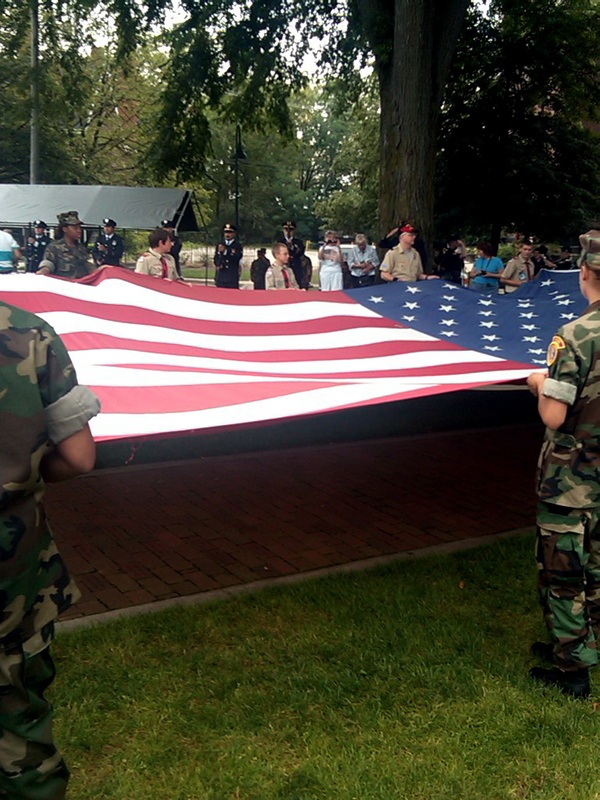 Led by Ernie Walker, scout master and Boy Scout Troop 447, American flags were retired by cutting them star by star and stripe by stripe. 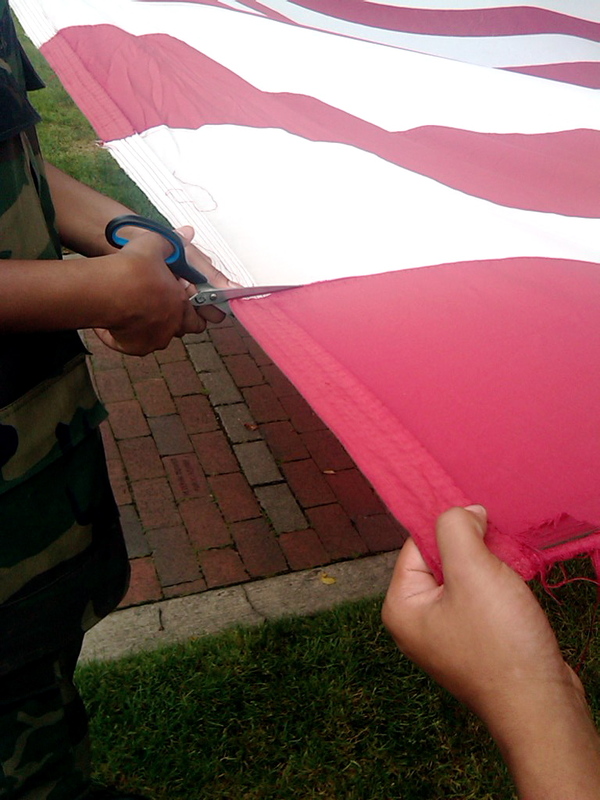 When an American Flag is no longer a fitting emblem for display it is destroyed in a dignified manner by burning and then burying the ashes. 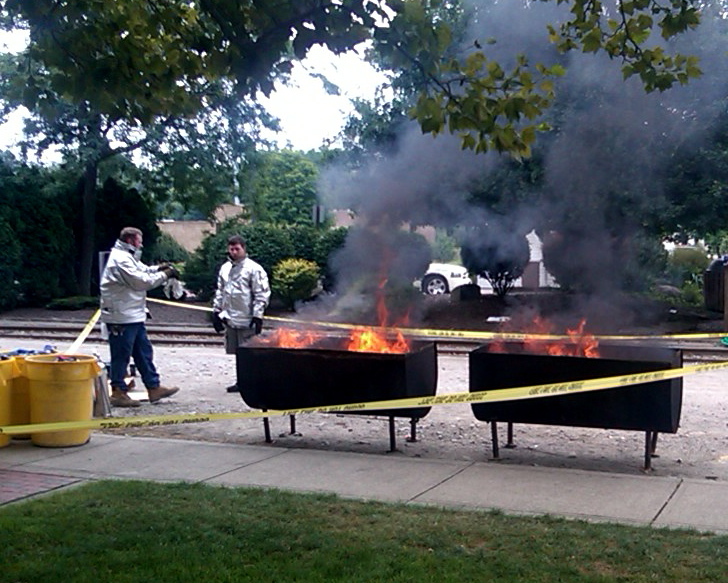 The ashes from the retired flags will be interred at Bedford Cemetery. 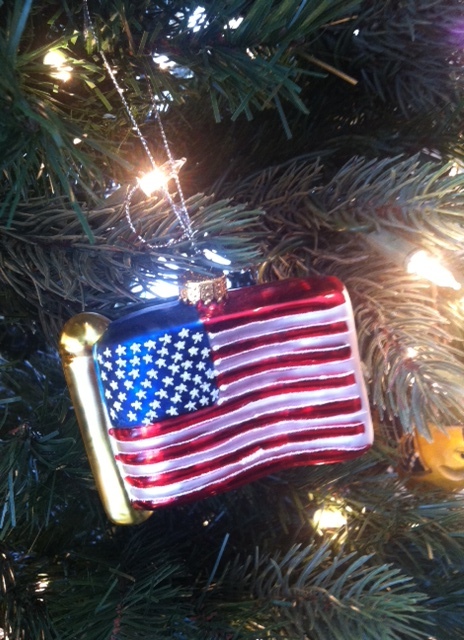 My thoughts were with our deployed soldiers past and present. When taps were played, I offered prayers for our beautiful country and what we value. God bless America.